Even though Bath is quite a ways away from London for a day trip, I decided I was going to make it one. 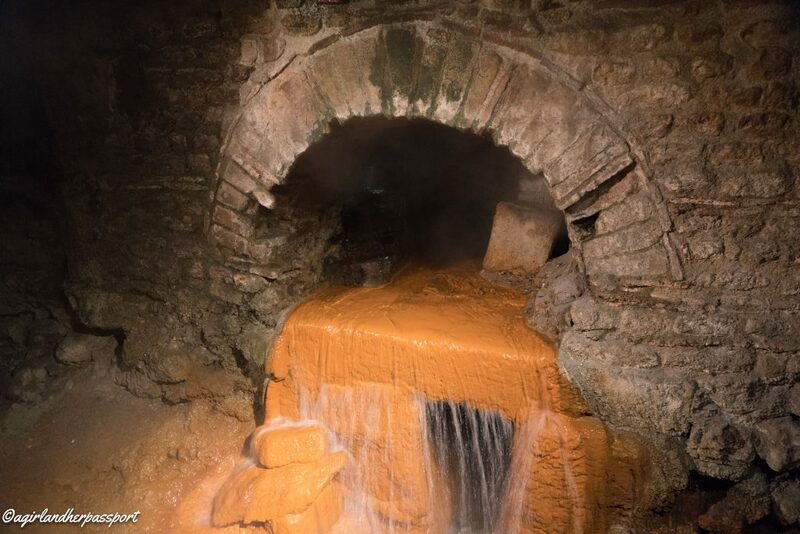 My main motivation for going to Bath was to see the Roman Baths. 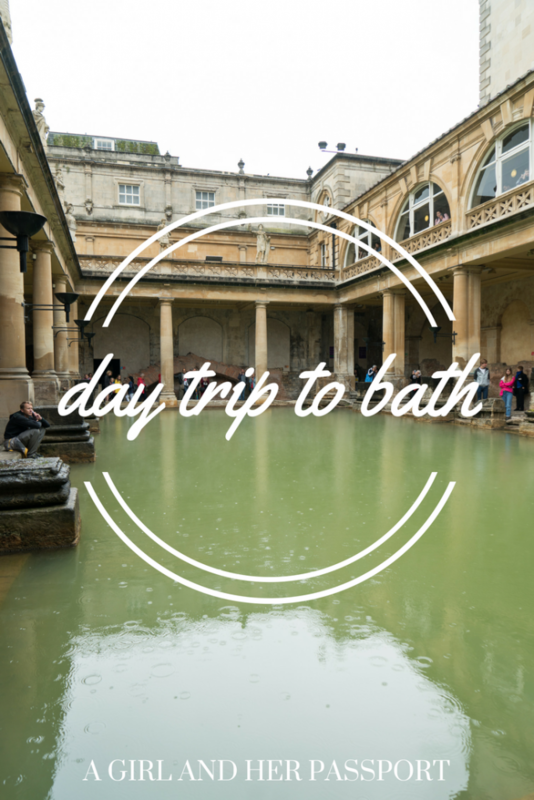 The quickest way to Bath from London was by train and it is easy to go on a day trip to Bath by train. To avoid the commuter crowds at the train station, I took a late morning train that arrived in Bath just before noon. Bath is very much a walking town so no need for a taxi or bus upon arrival. 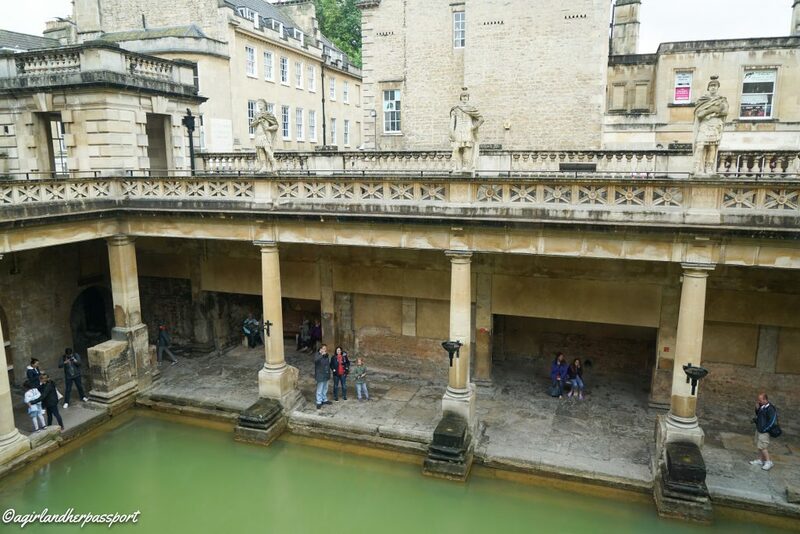 The Roman Baths are a short walk from the train station. 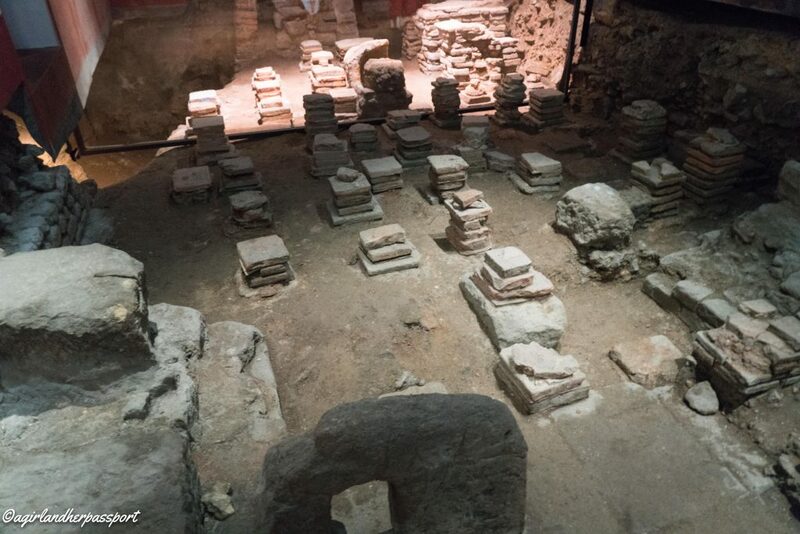 Normally, I would have booked my tickets for an attraction like this in advance, but I had decided to take a chance and not do this for the Roman Baths. My gamble paid off as it was raining and I only had to wait in line for about ten minutes. Granted a few of those minutes were in the rain, so make sure you have your umbrella. Being a self-proclaimed museum critic, I was pleasantly surprised with the layout of the museum. You being by looking out onto the main bath from above. Along the way, there are codes to punch into the audio guide that is included in your ticket. I recommend getting the audio guide as it was more informative than the labels around the exhibition. You make your way around the exhibition learning about the history and discovery of the Roman Baths eventually ending up outside next to the main bath area. You can still see the steam rising from the natural hot spring that the baths were built around. Once on this level, you can explore more of the actual baths including the smaller bath areas and changing rooms. Given that the spring is still active you could, in theory, still use this as a spa today. Although they discourage you jumping in for a bath! 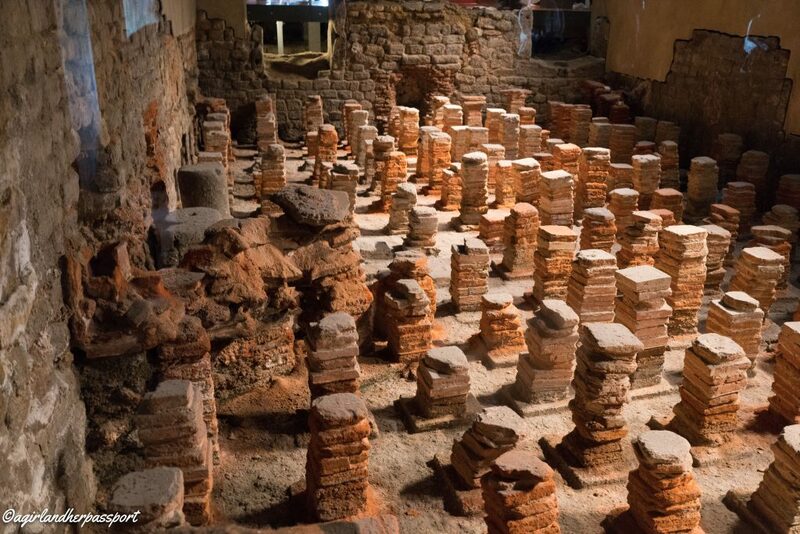 The Roman Baths can get quite crowded as it is not a large space inside, but it is definitely worth seeing. Somehow they have survived all these years and remain in great condition. Rarely can I say I have combined my love of history with my meal, but this was the case at Sally Lunn’s restaurant. 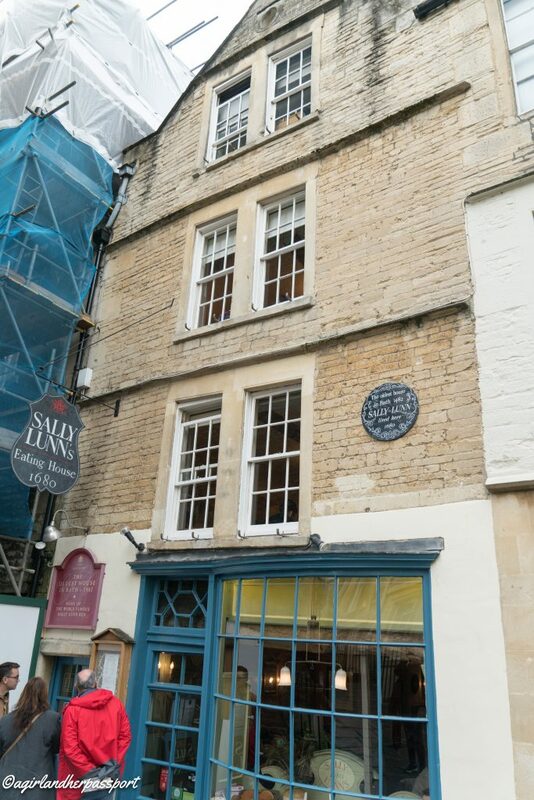 It is located inside one of the oldest houses in Bath. The lowest floor dates to 1150, but they have found evidence of Roman occupation in the cellar. I knew I had picked a good place when there was a line for a table! I wasn’t even really sure what kind of food they served, but I was willing to take a chance. Soon I learned I was in for the treat that is the Sally Lunn Bun! The bun is not like a hamburger bun. It is lighter and bigger and slightly sweet. You can get it with a sweet or savory topping. Since I was there for lunch, I opted for savory. I also decided to get the three-course meal since this might be my only visit to Bath! The three-course meal included a soup, a bun and apple cake. The soup offerings were pea and mint or vegetable. Not being English, I opted for the vegetable. It is quite possibly the best vegetable soup I have ever had! I ordered the Smoked Salmon with cream cheese and lemon. The combination was perfect. 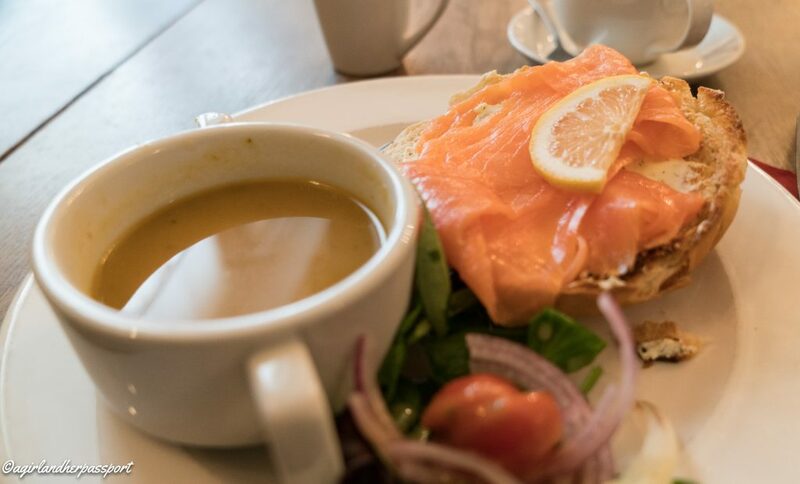 The bun is light and airy with a hint of sweet that enhanced the flavor of the outstanding Scottish salmon. After that, I was expecting an amazing apple cake but was disappointed as it was dry and not very flavourful. However, I still recommend going, just get dessert somewhere else! 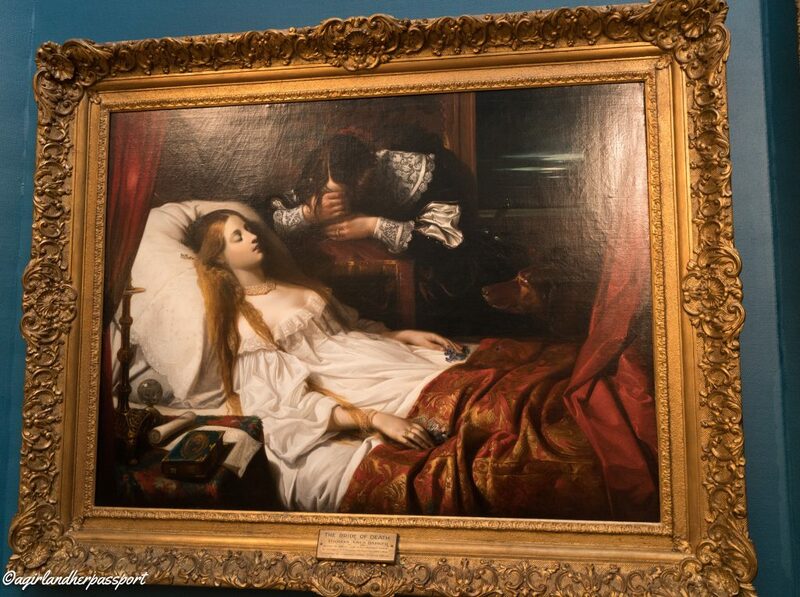 The Victoria Art Gallery might be small but it has some amazing pieces inside. 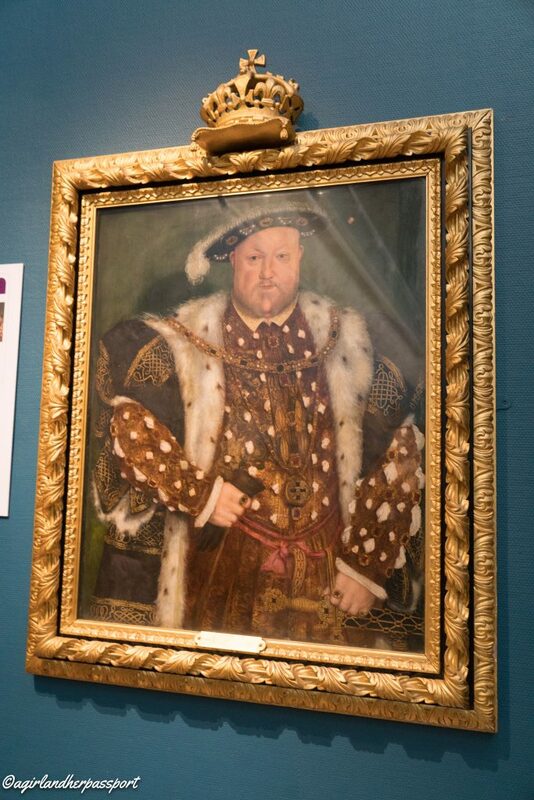 There is a wonderful portrait of King Henry VIII. Entrance is free into the art gallery as well. It won’t take you more than thirty minutes to walk through it unless you read every label. While I am not much of a shopper especially while on vacation, it was hard to not want to walk up and down the main shopping street. It was mostly cars free. There were all the usual shops with a few unique ones as well. What was really nice was all the flowers and umbrellas decorating the streets! Bath was a great day trip from London by train and if the weather is nice, there are lots more outdoor things to explore there. 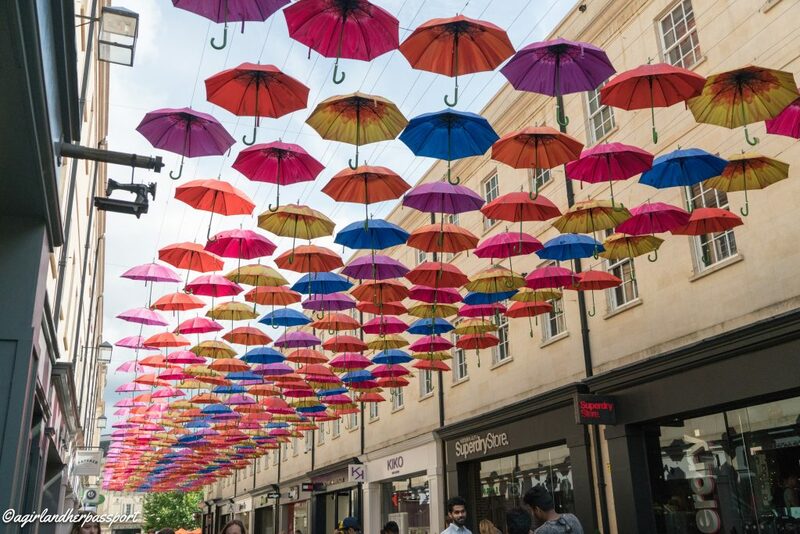 What is your favorite thing to do in Bath? I wish I been able to spend more time there. I am sure there was lots more to explore. Thanks! 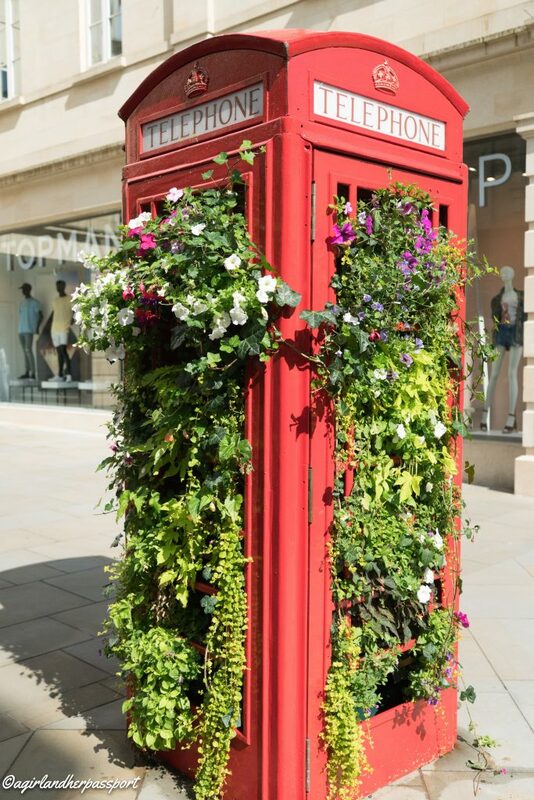 I am in love with Bath. I had a girlie weekend there once pre wedding (a pre-hen!) And it was lovely. My favourite is the Janet Austen exhibition x love! 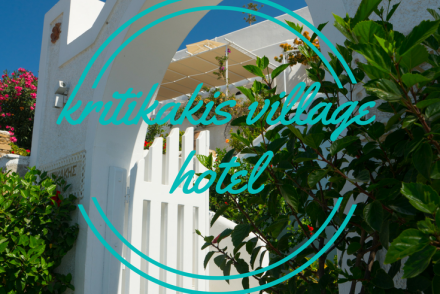 What a great place for a girls weekend! Everything is walkable so that is helpful. This looks amazing! Ever since I started to get into Jane Austen I have always wanted to go to Bath! There were Jane Austen look alikes giving tours. You would love it! Tiffany, it is an attractive area, even if you don’t visit the baths, which we didn’t as it was too busy and such a lovely day we walked around the city. Oh yes, the town is a beautiful place to walk around! Never been but really want to go. My mum went to university there… with Mary Berry!!! You should visit. It is so pretty. I had to look up who Mary Berry is! Lol.